Dishing up creative Latin food & drink for over two decades Executive Chef Dante Funes borrows skillfully from Mexican, Spanish, and South American cuisines for a menu of freshly prepared brunch, shareable plates, and dinner entrees that pair perfectly with award-winning margaritas and our list of tequilas and mezcals—Boston’s best. Over two decades in the South End, we’ve honed our creative twist on Latin food and drink, as well as our refreshing approach to hospitality. Today, our beautiful handmade copper bar and warm, unpretentious atmosphere is the perfect place to enjoy good company. Masa is open every day for dinner and drinks, and weekend mornings for brunch. The food and drinks were great, and the staff also! Masa was terrific. They have fantastic margaritas and cocktails and a great menu. I will definitely be back! The food was wonderful, the service excellent. We ordered a combo platter and it was a great way to get a sample of everything! Loved Masa, would definitely go back again. Great tacos, empanadas and sangria! Bar is fun! Really wonderful food, atmosphere, and staff. Get the churros! The tapas sampler was outstanding. The bartender gave us plenty of attention and was prompt and courteous. The ambiance was lovely and inviting. Can’t wait to return. I went to Masa for the first time with a Nift certificate, and I would absolutely go back. The Margarita Monday drink special was refreshing and well-balanced. The tapas sampler was perfect for trying all of the small bites, and the food was phenomenal - amazing flavors and textures and the perfect amount for a light weeknight dinner. Delicious food, fun drinks and great service. We will be back! The staff was friendly and accommodating and the restaurant felt laid back and welcoming. Everything was great! We especially loved the steak on the nachos and the corn. Thanks! Good food, excellent service, and a cute ambience. I’d definitely return! This was my first time at Masa and I will definitely return. A wide variety of choices on the menu, from tapas to tacos to entrees. And quite a drinks menu, too. Service was great. Food was delicious. AMAZING tapas platter was a great option with my Nift. Very glad to have been introduced to it. It was great! I would definitely recommend (though it seems like the rating option below on this form is malfunctioning and won't let me select a number). Great service in the bar area, and the food was fantastic! Its been years since I've paid Masa a visit and I'm really glad I went back. Everything was delicious, especially the fried octopus!!! Excellent service! Good food and service. Nachos and tacos! The food is delicious and they have a wide selection of options. The waitress was very helpful and knowledgeable about the menu. She also helped us redeem the nift easily. The service and food we're both great. A bit pricey. Great cosmos, margaritas and tapas! It was great. Delicious food and drinks! Fantastic place. Food and drinks perfect. Service a bit slow. STILL GOING BACK. Very much enjoyed. Unique menu and tasty food. It was great! The margaritas were on point and the sampler platter was perfect for an indecisive person like me! Wonderful service and wonderful food! The food was good. There were a couple of server errors and there was no hostess there that night. For example, I had a dirty wine glass but the server quickly replaced it. They also misunderstood a question about a dish, thinking we had ordered it, even though we had not. They graciously allowed us to eat the dish at no cost. I really enjoyed the meal. Worth coming back! Thanks! Great service, food was hit or miss but we still enjoyed our experience! Tapas were great and the bartender was friendly. The food was really great (especially the street corn) and the Nift definitely came in handy! Had a great experience at Masa! Water wasn't ever refilled, which was weird, but the food, staff and ambience were all very, very pleasant! Incredibly friendly staff & delicious food. Nice restaurant vibe as well! Loooovvved the fish al pastor entree and the combo tapa! I shared it with a friend and we both left super satisfied! We had a great experience at Masa! My daughter and I really loved their nachos and chores. The street corn was good also but could have been sweeter. Service was great and we really love the atmosphere. We would totally go there again!! We had a great first visit to Masa and will definitely be back. The atmosphere was cozy, food was delicious and the service was great! Our waitress was kind enough to let us know about a Salsa night that they host once a month, so we will be sure to come back for that! The manager was extremely friendly and we would absolutely recommend this restaurant for a casual night out. Food was tasty and the waitstaff was friendly and attentive. I would highly recommend. Interesting dishes, all tasty, nice to have some outdoor seating. The waiter was excellent. Would definitely return. Delicious food! Friendly service, great atmosphere! I will be back! Big potions and delicious food. The street corn was great along with the vegetable tacos. Great dining out experience! We went on a Tuesday night and had no problems finding street parking. Staff were friendly, knowledgeable and accommodating! It took 40-50min to get my food, on a night that wasn't busy at all, but when the food came out it was delicious! Amazing food, great service. Will definitely go back. Great service and we enjoyed our food and drink. The servers were helpful and accomodating, which made it a pleasant experience. Our server was wonderful, I forget his name but he was really friendly, helpful and sociable! Amazing food, drinks, and service. Loved trying out a place in my neighborhood that I didn't know existed. Will definitely be visiting again! Great atmosphere and food. Also, the bartender gave great suggestions and was on point with his service. The tapas we’re great. Good size portions and tasty. Great service and wonderful food! The outdoor seating was also a very nice addition. Food and atmosphere are great! Great little find! Great food and service - would definitely go back! Amazing food and cool ambiance. The tapas sampler plate was a great deal and delicious. Tuna tartare was out of this world. Food and atmosphere was great! Steve the bartender was a delight and the nachos were amazing! Masa was great!! The food was way tastier than I expected- I would totally go back! The great thing about Nift is I never would have discovered this place if I didn’t get a nift for it. The waiter brought us a round of complimentary shots when our friend announced her pregnancy. That was very nice. The food and drinks were all delicious. The waiter forgot one of the items we offered (they eventually brought it and comp'ed it) and never checked in to ask how our food was or to see if we wanted a second round of drinks. We did the tapas food dinner this time. The portions for the tapas are pretty good sized compared to others. It wasn't bad but I prefer their main course menu which was good. The cocktails are recommended. Food and drinks were delicious! Also a nice atmosphere for date night or a group gathering. Spacious bar with high tables seems like the kind of place to gather with a small group for drinks and shared plates. Delicious Scallops and Chicken Enchiladas! Drinks are tasty. Nice setting to set the mood. The food was great, as was the ambiance! Great service, awesome food and the best vibe! Excellent service, food and drinks. Would definitely recommend. I would have never gone to Masa without this Nift coupon. We really enjoyed the tapas sampler plate, but our entrees were a bit mediocre, especially considering their fairly high cost. I would not get any entrees here again, but I would come back for the tapas sampler at the bar if I was ever in the area. Delicious and good price for the tapas sampler. Tacos had high quality and fresh ingredients instead of being stuffed with cheese and beans. The dishes had a nice authentic touch. The bartender sent one of the dishes back when it didn't meet his standards, we appreciated that effort. The cocktail we got was okay, but food was great! Free bread and cornbread with hummus dips was a nice touch and was delicious as well. We enjoyed our experience so much! The food was delicious!! And everyone was so nice. Will definitely be back!! Great place! Happy we had the opportunity to check it out, would’ve never known it was there! Excited to go back and try their brunch! The menu is great! I had trouble deciding because everything sounded amazing! I had the eggplant steak and I loved it! I love Nift! Because of these nift certificates, I have frequented restaurants that have always been on my list of places to dine. These certificates are terrific incentives to check out local businesses. It feels great to be actively supporting the community. Food and drinks were delicious, found a parking spot easily, and service was excellent - loved the bread basket as a welcome! Staff was/is very attentive. They provide a great and comfortable dining experience. everything was delicious and our bartender was great!! The food tasted great and the service was quick and easy! The food was good and service was friendly. Will be back. Great service, food was amazing! Would highly recommend the scallops appetizer to anyone. Excellent and friendly service. Great decor and intimate vibe. Seated quickly on a Tuesday night. Excellent presentation of food. The braised pork shoulder was absolutely delicious. Price definitely matched the quality of the food. Would recommend to any of my friends. Great atmosphere and delicious food! Great setting and great drinks. My friend loved her salmon and black rice. I devoured my drinks and brussell sprouts. I managed to find street parking a few steps away. Great place, wonderful service. Awesome margarita. What more do you need? Loved the $1 tapas at the bar! Food was alright! Slightly disappointed with how fried the fish was. Margarita was great though, amazing tequila options! Nice, quiet weeknight ambiance. Yes , it was great .Steve was SOOO helpful . Thank you , Mary mc Connell . great tapas and the bartender was super nice and friendly. Great food! Portions we're perfect. Splitting four small plates with another person was more than enough. We had a very nice dinner out. The staff was friendly, helpful and accommodating. I booked thru open table to avoid any disappointment as we never were able to be seated when trying to use my nift gift at Mela. Nice ambiance. Good food. Pricey. Opportunistic business - they will change regular menu and raise price on every possible occasion to make more money. So beware of that. What a beautiful little restaurant! The staff was very nice and friendly (and super cool)! I’ll definitely be back again soon. I thought it was great! The waitress was patient and attentive. The portions were healthy and I loved the flavor combination on the tapas menu. Cute place, great food and nice atmosphere. My Nift encouraged me to try this spot and I’m so glad I did. The food was delicious and the service was great! I can't wait to go back. Delicious food, amazing service by Meghan, our server! We had a wonderful time at Masa. Service was incredible and the food was delicious and affordable. We are very grateful to Nift for the opportunity to enjoy a special outing at Masa! Really enjoyed Masa. Absolutely delicious and 100% recommend the tapas. Amazing selection and quality. I had a great time sitting at the bar. The fig whiskey and horchata cocktail was wonderful and the chicken enchiladas were flavorful. Service was great and the food was delicious - will definitely return!! Amazing food and customer service! Masa is delicious!!! I will definitely be going back!! Masa was fantastic! Great service, atmosphere, and food. Will definitely be back! Delicious food, great service, perfect atmosphere! Nift was so easy to use and was an overall great experience. Great ambience and service, good food!! I loved trying Masa! 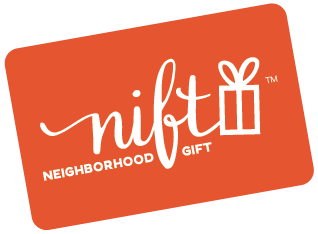 I never usually eat in the South End and I enjoyed trying a new place that is a little pricier/ which I might not have gone to without the Nift. Amazing bartenders and great food! Great drinks, fabulous food, awesome service! Loved Masa! We usually go there for brunch. Glad to be there for dinner—delicious! The bar staff were absolutely fantastic! Definitely where I'll be heading when I need margaritas! Tasty and wonderful service but one meal was kinda cold and maybe was cooked earlier in the evening and it was a bit expensive and out of the way. Amazing tapas, churros and staff! Most definitely the best pork belly I've ever had. Delicious! I had the braised pork and my friend had the steak frites and shared onion rings. Everything was so good! Will definitely be coming back to try the tapas menu! $10 combo tapas at the bar was fantastic! Great sangria too! Great service and good recomendations. It was a nice experience. I just wish that since it was our first time there they would have told us the difference of seating because we really wanted tapas but were sat in the main dining room and not told that tapas were generally for the bar area. Food was great, restaurant was nice and quiet, and waitress was helpful and informative. The service was really great, and our server constantly checked up on us which was awesome. The food was pricey but very well worth it! Thanks to nift I had the opportunity to visit a restaurant I wouldn't normally! Great experience every time. Good stuff. Was a little pricey. Crab cakes and fried queso were great, the eggplant dish was burnt (unclear if that was intentional). A nice atmosphere, great service. Masa was great! Definitely a bar I would go to again. This was AMAZING! The food was fabulous and our server was fantastic. We have been here before for brunch, but we were able to try some tapas and apps (and beer) which were all great. We live close so we will definitely be going back, even without the gift card! Thanks so much! Delicious food, great ambiance, incredible gift!! Thank you Nift and Masa for the wonderful experiences! Loved the food, drinks, and service, and great ambience. I would not have tried out Masa if not for Nift, and now I will definitely come back! Dinner was great!! Masa is one of my favorite spots in the city. Service was really good. Food was good for the most part. Great selection of tequilas as well as very fun, tasty cocktails. Food was delicious and flavorful. Service was quick and friendly. Overall excellent experience and would absolutely return. The food was delicious and our waiter was awesome!! Loves the food, staff, ambiance, and the music! I actually have gone twice since then! Great service and awesome food! Food was very good. Waitress failed to tell us about specials or show us the tapas menu. She also didn't explain the spreads offered on the table. She must have been new. Management was very helpful. I was torn between a thumbs up and down. I had been meaning to try Masa, but it is out of the way. This gift certificate encouraged us to make the trek. However, the restaurant was mediocre. I would not come here again, nor would I recommend it. The nift was great, although farther than I would normally go to eat out. The employees were wonderful and the owner was welcoming. The food and service at MASA was phenominal. Would highly recommend and plan to return with more friends. I would rate as a "5". Good and drinks were delicious and our bartender was great! He was super friendly and attentive. My boyfriend and I had a great experience at Masa! The service provided was excellent! We started with the nachos, they were excellent! Then we had the octopus, which I highly recommend, and the combination tapas platter. I probably would not order the platter again, but it's a nice way to sample most of the tapas. Also, the tradiaitonal margaritas were some of the best we've had!! We can't wait to come back for brunch! My friend and I LOVED this place! The food and service were excellent. Highly recommend the tapas and the chorizo nachos were the best I've ever had. Can't wait to go back. The food and atmosphere at Masa was great! Wine pairings were spot on. Will definitely be back. We really enjoyed sitting outside and ordering off the tapas menu! Nice staff, great food, good drinks! Can't wait to try brunch! The drinks were creative and the food was delicious! Food was delicious and the staff was very attentive. Try the watermelon jalapeño margarita! Nice ambiance. Limited menu options and a bit overpriced. Delicious food, lovely service!! Tried seafood paella and pork shoulder and would recommend both entrees. Amazing food! We will definitely come back! Excellent variety on the menu. We had a wonderful time and loved the food, especially the pork shoulder with fig sauce! The staff were very nice as well. The food was excellent and so was the service. Matt did a great job of explaining the dishes and about their tequila selection. Bartender was super friendly and helpful in navigating the menu. Tapas were delicious and surprisingly generous in portion. Good food but overpriced. Would recommend for brunch rather than dinner. AMAZING food and great service/Staff! The restaurant almost didn't let us use the nift gift because they said it was for dinner only. The gift didn't have any restrictions on it, so after the manager and waiter both read the fine print they allowed us to use it. Great food and service. Drinks were delicious too! This was a great deal and Masa is delicious. Great service as well. I will definitely be back, I hear they have great brunch! I really enjoyed Masa. Great food, not too crowded, nice wait staff. Food was great. Nice chilled vibe. Fantastic Cobb salad and coconut mai tais! Best margaritas in Boston - was also very happy with their seafood dishes, they have really good octopus, ahi tuna, and scallops. Masa was great! We were torn between sitting outside on the nice patio or inside at the cool bar. we sat at the bar and our server was perfect. we didn't get her name we enjoyed every bit of the experience. thank you! Great food, friendly and fast service. Will be returning! Drinks were good and chicharones were perfect. Everything else was mediocre. The service and food were pretty good at this place and I had been wanting to check this place out. The Nift certificate was a good opportunity to do so! Excellent service and fantastic food! The huevos rancheros were amazing, and big enough to split between my husband and myself. Some of the best red sangria I've found in Boston. Very nice place in the Siuthe End neighborhood. The food was delicious and not too pricy. Friendly staff. Would definitely come back! Service was fast and attentive. Food was wonderful. I ordered from Dinner Menu but would certainly go back for Tapas. The food was excellent and the staff were really friendly. Excellent place, we will be back! Food was great. Service a little slow, and we had some confusion around tapas vs. dining room. But they were very accommodating. Food was excellent, service was not. Great tapas, drinks and service!! No complaints!!!! Will be back. Atmosphere was nice. The eggplant chilaquiles were one of the best things I've ever tried. The tequila list is also excellent and a good place to start if you're interested in becoming a tequila drinker. Better than we expected and we now have a chill place that's not a pub atmosphere to get a beer and nachos down the road! Really nice environment and both our chicken and tapas were quite good! Excellent service! Food was amazing!!! Lively yet intimate atmosphere! Great waitstaff, friendly, good vibe. Tapas were on point! Excellent service and delicious food!! Loved the ambiance as well. Food was excellent and the staff was warm, friendly and very helpful. Elizabeth was our waitress - funny, kind, & very helpful in selecting our food & drinks for a friend's birthday celebration! The tapas sample platter & sangria margarita were AMAZING! We had a great experience and loved our meal! Thank you! Had a great experience at Masa! The drinks were amazing and the service was too. The bartenders and owner were both super friendly and made sure we had a good time. Service and food were great and they treated my 3 year old like a regular customer. The portions were good for the price, and the flavors were wonderful! Great service as well. Food here is unique and delicious! It's clear they put a lot of thought into each of their menu items. The waiter was super nice and food was fantastic! I tried the combo tapas plate for $10, and the pork belly, pork spring roll, bacon wrapped date, and empanadas were my favorites. Also tried a habanero watermelon margarita, which was quite refreshing well with the watermelon. Entree was duck, $25, and they actually get the "doneness" right, not overcooked. Decor was beautiful. Super relaxed atmosphere, great bartender. Food was delish, didn't feel rushed (even though I happen to know kitchen closes at 9). Really awesome experience and will definitely be back! The food was great and so was the atmosphere. Service was awesome, atmosphere was lovely and food was tasty. Couldn't have asked for more. The food and service was both excellent! I have walked by many times, but had not been in until now. Great atmosphere, decor, really cool vibes all around. To be honest, I would have never guessed that from the outside. good food, service, and ambiance.. would recommend! The 2 appetizers were great (tuna tartar and the fried cheese with avacado drizzled with balsamic). The main course was ok. The food was delicious and I loved the bar area atmosphere!! The only problem we had was our waitress was very moody! Amazing food and great service! We went on SuperBowl Sunday so the place was quite empty but the people were extremely courteous and accommodating. The food was EXCELLENT! We asked the waiter for some recommendations on the menu and my date and I, both ordered his top two selections. I had the Negra Modelo Braised Pork Shoulder. The port and fig jam was delicious. My date ordered the Brick Chicken Mushroom Risotto. She loved it, said it was one of the most flavorful chicken dishes, she has ever had. She said it reminded her of home (Puerto Rico). I tried it as well and it was really good. Awesome food, excellent service, wonderful ambiance!! Delicious pork shoulder on perfect mashed potatoes with arugula, so good! Great drinks and a very welcoming barman - fun evening! It was great to try a new spot out of our comfort zone. The service and food were both awesome! I will definitely return. The food was great! The only con was the chips and salsa and guac that were recommended by the server, which are not on the menu and ended up being quite overpriced. The drinks were great, food was good, service was friendly, atmosphere was cozy. Would love to return for brunch! Masa may have one of the most beautiful bars in Boston. Great staff, great drinks and delicious food. We'll be back! Good was exceptional and the service was fantastic.